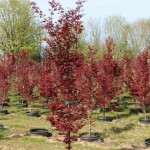 An upright, columnar tree with deep red leaf color all season long. 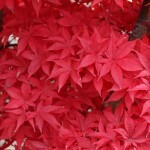 The new foliage is a brighter red. Branches darken to a deep blood-red after leaf drop providing added winter interest. It prefers well-drained, acidic soil. This makes a good choice for tight places. 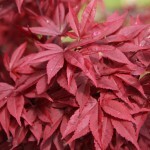 Discovered as a witch's broom in a Bloodgood Japanese Maple by Ken Twombly.